The OTP Fáy András Foundation, set up by OTP Bank in 1992, is one of the most important participants of financial education in Hungary. The values and ideals of the Foundation are in tune with the spirit of its namesake, András Fáy, a politician of the Reform Age and the founder of the first Hungarian savings bank. Fáy’s oeuvre can best be summed up for 21st century societies in that the future for Hungary, Europe and the world lie in their active citizens with diverse knowledge, while families and the next generations need conscious individuals. Thus András Fáy can justly be considered as one of the founders of European financial culture and the Foundation named after him is one of the pioneers of this activity. With its 25 years of professional experience, the OTP Fáy András Foundation is continuing its professional activity under the motto of “Opportunities for the Future Generations”. This focuses on expanding the financial, economic and management knowledge of primary and secondary school students (aged 7 to 18) and promoting a conscious career and life-path for them. The success of our recognised professional work is mainly based on two pillars: it is adapted to the social requirements of our age while also being continuously adapted to the trends of the teen age-group. At the same time it must also be noted that the programmes effectively merge activities within and outside of the school lessons and, alongside activity linked to such, it is also featured at festivals and various professional programmes, while also organising summer camps and special days related to individual themes and topics. The Foundation does not merely aim at transferring novel and interesting knowledge to primary and secondary-level pupils, but to also ensure that this knowledge be available in regions that are in a detrimental and/or less developed situation and also in large cities, in other words to reach and involve as many teenagers as possible, either directly or indirectly, with programmes tailored to their needs or through teachers, responsible parents and grandparents, peers and the media. An important element in the work of the OTP Fáy András Foundation is that all its programmes are free and, alongside its targeted professional financial-economic educational activity, it also implements many diverse youth support programmes, offering career advice and training, donating books, and so on. Independent and well-known professionals, respected public personalities have and are taking part in the passing of sponsorship decisions and the work of the Board of Trustees, or Curatorship. The Chairman of the Board is prof. Dr. Szilveszter E. Vizi, former President of the Hungarian Academy of Sciences. The OTP Fáy András Foundation has been increasingly involved in the education of financial and economic skills since 2003. The Foundation has therefore itself progressed along the professional route that has led to its effective financial trainings today. In the early period, it aimed at teaching young people about conscious management through tenders that popularised the topic, later on through school competitions and recreational activities. It subsequently launched the development of independent, 45-minute-long curricula that were presented in schools, for instance, during the headmaster’s class, by experts selected by the Foundation. Only those students enrolled in the tender programmes who wanted to gain something from it, thus the transfer of knowledge was placed on the backburner with preference given to the “hunting instinct”. Economic education exists as part of public education in many countries of the world, however, this is still very new in Hungary. What is more, the majority of financial, economic and management trainings come up against the same three things (or any one of them), namely that instruction is either superficial, the “curricula” is too dull, with the – for the most part – teachers providing the transfer of knowledge having no comprehensive knowledge about the subject. The Foundation therefore had to find a new solution, it needed genuine pedagogical innovation to which end it had to work out a new content and methodology educational package that could be utilised the most effectively and one that can best reach and teach the Y, the Z and the Millennium (alpha) generations. As the majority of traditional pedagogical methods have failed, something was required that would uphold the bases of pedagogy, whose method is somewhat adapted to social customs but which, for instance, radically breaks with the up-front method of education. This was how the characteristic inspirational pedagogical methodology was created, which has a “different focus” on content and which incorporates many formal elements of the andragogical and training methodology. This was then further expanded with several important rules of psychology, including elements of facilitative behaviour and the science of economics-related marketing and communication. While working out the above, the professional team led by the CEO of the Foundation, Péter Schrankó, with support from Zoltán Péter Nagy, a mentor of the Foundation, created an educational system that can be effectively used in the teaching of financial, economic and managerial skills, one that – through the training of students - can be a genuinely preventive reply to avoiding even another world economic crisis. The Foundation’s OK Project, and its most spectacular element, the OK Educational Centre in Budapest (official name: National Financial and Economic Educational Centre for Secondary School Students) was thus set up through the European Union supported project TÁMOP-3.2.1.B-11/1-2012-0001. The result is a training-like class in schoolrooms designed for a high-tech environment, in which gaining experience plays the leading role, even preceding the forming of opinion and the transfer of knowledge in the educational process. WHAT IS THE OK EDUCATIONAL CENTRE? A programme considered as a milestone from the point of view of financial and economic education and Hungarian public education was thus launched in the autumn of 2012 under the direction of the OTP Fáy András Foundation: located in the capital’s Benczúr Street, the National Financial and Economic Education Centre for Secondary School Students began its operation – uniquely in the region – utilising European Union sources. 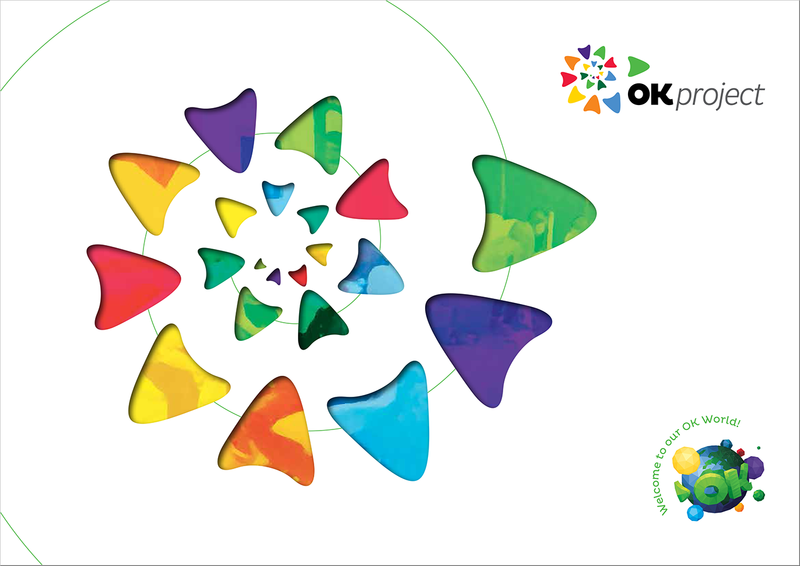 Also known as OK Educational Centre (using the Hungarian letters representing Oktatási Központ, or Educational Centre), it today boasts a complete educational programme, the OK Project. The educational centre features classrooms equipped with the most modern audio-visual means for receiving and teaching students arriving from all parts of the country and, upholding the past activity of the Foundation, there is a network of instructors who travel to secondary schools supported by a new system of means for their work. It also uses the financial, economic and management educational materials developed by the Foundation in a manner that all the modules that include training-like elements meet the expectations of giving priority to “educational entertainment”. Alongside the entertaining training materials designed for the four years of the secondary school system, visiting groups can learn about the relationships between business and several different areas (for instance, sports, media, environmental management). Through the ever expanding educational activity, the Foundation is by today able to address primary school pupils (ages 6-14) and can ensure age-specific financial, economic and management “know-how” (this programme is named Sulibank). The OK Educational Centre is thus one of the special education institutions of Europe set up to provide high-standard, primarily financial, economic and management, as well as self-awareness and career training to young people in an entertaining manner and, uniquely, free of charge. …All training forms are free of charge. What else should you know about the OK Project? The aim of the project: to shape social awareness and to train students in an educational institution that meets world standards , with unique methodology and content. The mission of the project: to provide the financial, economic and management skills and knowledge that are indispensable elements of a successful life in the 21st century to as many people as possible. Shaping the views of the future generation from a self-sufficient individual to a responsible entrepreneur. Basis is the principal of “educational entertainment”, or edutainment. Financial, economic and management curricula, building on scientific bases. The programme thus organises the basic thesis of micro- and macro-economics, the scientific background of the operation of modern markets, the human and social existence and the economic connections into modules that are understandable for students. Special chapters are devoted to the in-depth discussion of 21st century social and economic systems and order of values. Everyday management, the bases of entrepreneurial activity and the presentation of high-standard economic activity are also parts of the curriculum. The reality and theory related to topics that are presented both as examples and in the practical lessons are put together back-to-back. Accordingly, students taking part in basic financial, economic and management training can also take part in practice-oriented thematic trainings. This is how, for example, they can be familiarised with the daily operation and management of a shopping centre, a stadium or a zoo. Explanations built on the interactions of students’ personal experiences, as well as lectures and explanations without taboos are particularly important. The main rule for the creators of the programme: no question can remain unanswered! Individual methodology that merges the world’s best economic educational theories and means, which is based on the role played by four scientific areas in practical education: pedagogy, psychology, marketing-communications, and sociology. Not losing sight of the efficiency in which the curriculum can be taught, it is compiled in an age-group specific manner that relies on modules. The continuous developments and content expansions are adjusted to this logical structure. Continuous development of content. This is adapted not merely to professional changes, but to the trends and prevailing fashion of children. The OK Educational Centre, designed with the aim of creating an environment that even at first sight provides a pleasant experience and facilitates the transfer of knowledge. It is focused on the PERSON. It employs experts with unique qualifications trained by the Centre for the education process. The teaching trainers are continuously measured and points are awarded by both participants and the professional managers. The financial, economic and management educational program of the Foundation is characterised by both vertical and horizontal expansion. In 2012, the OK Project opted for a more effective way to reach teachers than before and embarked on the training of teachers. The Faculty of Pedagogy and Psychology of Hungary’s largest teacher training and extension training institution, the Eötvös Loránd University of Arts and Sciences (ELTE PPK) became a partner of the Foundation and incorporated the “Foundation Programme”, which forms the basis of the OK Project, into its curriculum. The two-year training offers economic and management knowledge and provides a pedagogical specialised certification that is a novelty in the field of financial education as this is the first time that financial, economic and management knowledge is included in the extension training system of non-economist teachers in Hungary. The Foundation has, since 2013, provided trainings for primary school pupils as well: it has a 7-grade specific training that caters to pupils aged 8 to 14, which is complemented by such programme elements as lessons at external venues, visits to financial institutions or announcing various tenders and competitions. The primary school programme of the OK Project is known as Sulibank (www.sulibank.hu). From the spring of 2014, an independent team of trainers have been visiting interested classes in Nyíregyháza and its vicinity. According to plans, a new OK Educational Centre similar to that in Budapest was established in Nyíregyháza in the first half of 2016, equipped with the most modern technology and ensuring an inspirational environment for the trainings, which means these centres fully meet the expectations of the already applied inspirational pedagogical methodology. The new centre means that more students can be reached. The Foundation has been operating its programme to assist career orientation and promote career planning for several years. Based on its success and aware of the social demands, it launched its comprehensive career programme in the autumn of 2014, which provides participants with the necessary self-knowledge for their choice of career, and enable them to learn self-management methods to assist their life-skills, alongside gaining insight into the world of work and the characteristics of the individual professions, too. The “Right to Education” foundation was also launched in 2014 with support from OTP Bank Romania, as the first stage of international expansion. Beginning in the 2014/2015 school-year it launched financial, economic and management trainings for students from various Romanian cities in order to start them on the road to a conscious future (www.okcenter.ro). In 2015, Slovakia also joined the OK Project through its OTP READY Nadácia foundation. The methodology instruction of trainers is finished, with the involvement of Hungarian trainers. With the various successful programmes included in the OK Project and tailored for both students and teachers, the Foundation ensures that the development of financial culture become a well-planned social task and process. To date (between autumn 2012 and winter 2016) the trainer teams of the Budapest and Nyíregyháza OK Educational Centres have held several hours long trainings for more than 70.000 primary and secondary school students and organised programmes to shape the approach of more than 50.000 people. We are proud to have been awarded the Comenius EduMedia Siegel 2016 prize (COMENIUS EduMedia Award), which is a prestigious recognition of the OK Monteytainment project’s digital education content service. Click on the logo for more information about the prize. Address: 1068 Budapest, Benczúr u. 26. Our next publication will provide detailed information about the OK Project.